At present, the demand for electrical power is growing rapidly, and this can be fulfilled by the power generating substations. There are different types of power generating substations like thermal, atomic, and hydro-electric. Based on the availability of different resources, substations are building at different locations, but these locations may not be closer to load centers. The actual power utilization can be done by the load center. So it is essential to transmit the power from the substation to load center locations. So, high and long transmission networks are required for this function. A substation is an electrical system with high-voltage capacity and can be used to control the apparatus, generators, electrical circuits, etc. 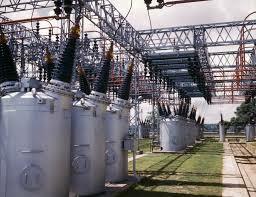 The Substations are mainly used to convert AC (alternating current) to DC (direct current). Some types of substations are tiny in size with an inbuilt transformer as well as related switches. Other types of substations are very huge with different types of transformers, equipment, circuit breakers, and switches. The different types of substations mainly include Step-up Type Substation, Step-down Transformer, Distribution, Underground Distribution, Switchyard, Customer Substation, and System Station. 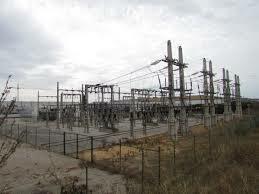 This type of substation gets the power supply from a near producing facility. It uses a large power transformer for enhancing the voltage level for transmitting to the remote locations. In is substation, the power transmission can be done by using a transmission bus to transmission lines. 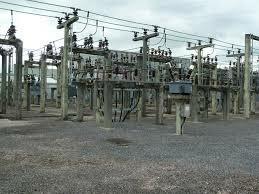 This substation can also be a knock on the incoming power which is received by the generation plant. The received power can be used to supply power to the operation of apparatus in the plant. A substation includes circuit breakers for switch generation as well as transmission circuits in & out of service as required. 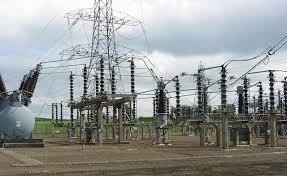 This type of substation works as the major source of power supply for one specific business client. The business case, as well as the requirements of technical, highly depends on necessities of customers. This substation includes the huge amount of power transfer across the station and it is called as a system station. These stations only offer no power transformers while others do voltage exchange as well. Typically, these stations supply the end-points to the transmission lines creating from switchyards & supply the electrical energy for circuits that supply transformer stations. They are important to long-term consistency. These stations are strategic services as well as very costly to build as well as to maintain. Distribution type substations are placed where the main voltage distributions are stepped-down to supply voltages to the consumers using a distribution network. The voltage of any two phases will be 400 volts, and the voltage between neutral and any phase will be 230volts. This type of substation is placed at different points in an electrical network. They can connect different parts of the network and that are a source of sub-transmission or distribution lines. This type of substation can change the transmission voltage to a sub-transmission voltage (69kV). The converted voltage lines can provide a source for distribution substations. In some cases, power is tapped from the line of -transmission line to utilize in an industrial capacity along the way. Or else, the power will supply to a distribution substation. Installation of a substation in urban centers requires large space, but generally, they don’t have a place to install the substation. To overcome this problem, installing the substation underground decreases requirement of space and the surface area can also be used for other constructions like buildings, shopping malls, etc. The main concept of the underground substation is to offer the best conventional substation by reducing the space occupied above land. The switchyard is the mediator among the transmission as well as generation, and equal voltage can be maintained in the switchyard. The main purpose of this is to supply the generated energy from the power plant at the particular level of voltage to the nearby transmission line or power grid. The main purpose of the 11kv substation is to gather the energy which is transmitted at high- voltage from the producing station, then lessens the voltage to a suitable value for local distribution & provides amenities for switching. This substation includes isolator, lightning arrester, step-down transformer, CT metering, circuit breaker, and capacitor bank. 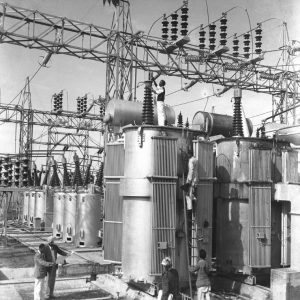 Here, the 220kVA substation is the power-capability utilized by the step-down transformer in the substation, and it illustrates the highest apparent power a step-down transformer can provide. The received voltage level of this substation will be 220kV. The 132kV is the rating of the step-down transformer, which has a 132kV primary voltage. 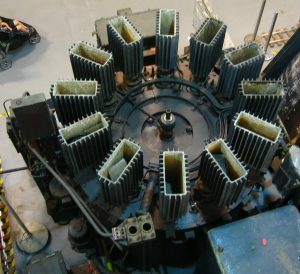 Generally, these transformers are employed in transmission type substations where the voltage has to be stepped-down to additional distribution. 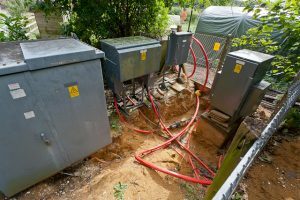 Similarly, some of the substations are classified based on the nature of duties, service rendered, operating voltage, by importance and design. The nature of duties based substations are step-up, primary grid substation, step-down. The service rendered based substations are service rendered which includes a transformer, switching and converting substations. The operating voltage based substations are high voltage, extra high voltage, and ultra-high voltage substations. The importance based substations are grid and town substations. The design based substations are indoor, outdoor, foundation mounted and pole mounted substations. Thus, this is all about different types of substations and you can refer more information for Substation Layout & Line Diagram. From the above information, finally, we can conclude that a subsystem is an essential part of a power grid, and forms a significant connection among the transmission, generating, distribution as well as load point. Here is a question for you, what is 66kv Substation?